More than 500 of our patients kindly completed the Friends & Family survey in year to June 2017. In our patients' words …. "Would not go to another dentist!" "My daughters love coming to the dentist - very friendly practice!" "Wouldn't want to go anywhere else!" 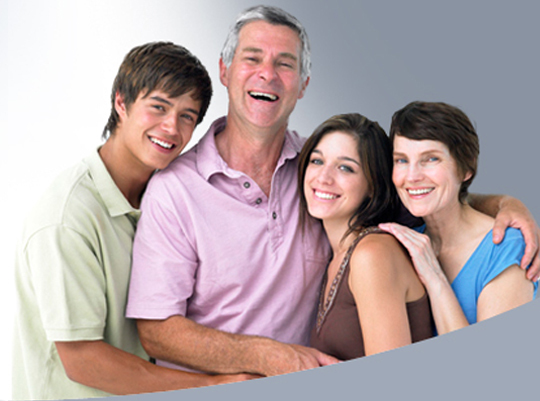 "Very grateful for the service"
"Brilliant dentist - very thorough!" "Thanks for getting me in so soon"
"Really friendly and approachable dentist and the nurse was fabulous. They really know how to take care of you"
"Wouldn't go anywhere else for my teeth!" "Reception staff always extremely friendly & helpful"
"Very polite & friendly staff"
"Amazing dentist, always looks after me. Thanks"
"Always very polite and helpful"
"Reception staff & the dentist were very understanding"
"It's a really friendly team. They answered all my questions. Brilliant service"
"Amazing people. Really lookafter you"
"A really friendly team that makes you feel at ease, would definitely recommend them"
"Really polite and friendly team"
"Great care just before the holidays"
"I remembered her from last time. She was fun"
"Such lovely people working here"
"Amazing I still get my sticker"
"Really lovely to be here! Friendly bunch"
"New relaxing music playing in the background make the dental experience all the m ore relaxing"
"Really polite staff. Really make you feel at ease and the relaxing piano music is lovely"
"Very nice piano music in the background. You'd not think it was the dentist"
"Enjoyed the dentist this morning, very relaxed and engaging staff"
"Wow, looking forward to the new services being introduced"
"Extremely lovely team to be looking after me"
"Couldn't have asked for a nicer team looking after me. Keep up the great work!" "A really great team, my kids and I felt really looked after. Thank you"
"My whole family comes here. Wouldn't go anywhere else!" "Exceptional service from the moment you walk in the door. Highly recommendable"
"First visit and they were friendly, informative and reassuring"
"Have been attending this practice for years with my family. Excellent service from both the dentists and hygienists. Can't recommend enough!!" "Absolutely marvellous! And the nurse was very calm too! Highly recommendable for nervous patients!" "The dentist and nurse are both caring and gentle"
"Always happy with treatment and care. Seen promptly, lovely staff." "I have always been very happy with the service and treatment I have received"
"Excellent practice with very friendly and professional staff"
"Good customer service, approachable staff and efficient administration"
"Always understandable when children or I are sick & when I have to cancel/re-schedule. Great text & e-mail service. Excellent dentist, great with the children. Friendly & personal service from reception staff"
"Dentist here are very helpful and supporting. Thank you"
"Friendly staff explained everything involved in my treatment"
"Friendly, clear, helpful, good with kids"
"They are always friendly, professional & helpful"
"Always a pleasant experience with friendly courteous staff"
"Excellent service & friendly staff"
"Painless & quick! Always extremely satisfied"
"Being quite nervous of the dentist, I find this surgery very reassuring. The staff are genuinely welcoming and I would not hesitate to recommend this practice." "Always been very satisfied with the service"
"Always been great, with myself and kids"
"Very nice practice, reception staff is always so helpful"
"Lovely practice, friendly and approachable staff"
"Very happy with my treatment here"
"I've only praise for this practice. Efficient & friendly service!" "A most caring, friendly practice"
"Lovely and professional staff always recommend this practice to my family and friends,friendly staff"
"This is a really good practice - wouldn't go anywhere else. 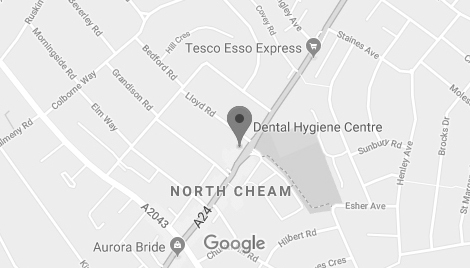 Very thorough"
"The dentist is very kind & patient"
"Really appreciated being called at short notice as I had lost a filling"
"I don't mind who I see - all the dentists are good here!" "Always very friendly & polite"
"Lovely dentist. Kind and patient"
"The whole team is always so helpful - wouldn't go anywhere else!" "I am a very nervous patient but I'm always fine with whoever I see"
"Don't mind who I see here - they're all very good!" "I really appreciate the text reminders!" "Very friendly & polite staff"
"Even though I arrived a few minutes late they accommodated me!" "Very helpful & understanding reception staff"
"All the staff very accommodating"
"The dentist really put me at ease for my first appointment - I was very nervous after suffering trauma at another practice previously"
"I have full faith in the dentists here"
"I think this is the best dentist I have ever been to! The receptionist is always very obliging & always has a smile on her face. Marvellous!" "Never had a problem getting an appointment, friendly staff"
"My whole family comes here & we wouldn't go anywhere else!" "I've said it before & I'll say it again - a fantastic practice!" "I wouldn't go anywhere else. They are so friendly here!" "Nice welcome when making first appointment." "I couldn't ask for a better dentist. All staff are wonderful and it's a calming atmosphere here"
"Very happy with everything especially because I'm a nervous patient." "Staff have excellent manner and work ethics. Always welcomed with a smile and always very helpful and clear." "I always have a very good service at this practice. Thank you." "Everything is excellent. Very friendly practice." "I like the use of text reminders"
"Great service. Friendly & helpful." "Always professional but warm & friendly. Efficient. One of the best practices I have used." "The hygienist was very good and I would see her again." "Brilliant dentist and the hygienist is great too!" "No pain. Best dentist I have ever had." "Friendly helpful service. Very good with emergencies." "Very good service, as usual"
"Always fast, efficient & friendly"
"Outstanding staff. Makes my phobia easier!" "Lovely staff & extremely gentle dentist. Thank you." "Dentist kept me informed at each step." "Very helpful, friendly people. Explained everything really well." "Very professional staff and dentist! Very pleased." "I always feel welcome & at ease"
"Very good service & experience. Thank you!" "Reception is always most helpful"
"Overall, just a great visit." "I saw a new dentist who was extremely nice, helpful & gentle!" "Have always received excellent treatment." "I would definitely recommend this Surgery"
"All my family come here & are very pleased with the way we are looked after"
In our patients' own words…. "Would not go anywhere else!" "I can't believe how well I've been treated!" "Have already recommended several people and know they attend"
"As a new patient I am extremely happy with the service. Thank you"
"All very good, a pleasure to come here"
"All family come here. Very happy"
"Thank you all for your kindness"
"Very nervous first visit; have been treated and am ok now"
"Always very polite & helpful reception"
"Thanks! Good practice for my family"
"Very prompt & excellent service"
"Very helpful reception & caring"
"Very happy with my experience to date"
"Always a very friendly & helpful service"
"I waited less than 10 minutes and was very pleased with everything"
"Very happy with the service I have received here"
"Very good work very happy"
"Dentist, nurse & reception, all very kind & polite"
"Very friendly staff. Excellent dentist. Really good experience today"
"Thank you for your help, care and professionalism." "Felt relaxed and received an excellent service." "I have never felt so confident and at ease with a dentist before." "Very pleased with all the staff and my son thought everyone was very friendly." "Treatment description was very informative"
"Practice has a happy atmosphere." "A very friendly practice and they always try to fit you in as emergency." "Always feel well informed and never an unpleasant experience"
"Thank you for good advice"
"Glad I'm a patient at this practice"
"Always dealt with in a courteous and professional manner"
"Cannot speak highly enough of this dental practice. I have had a lot of treatment here over the years and everyone has been kind and caring. Many thanks"
"Very friendly. Very professional – all in all, excellent service"
"Very friendly atmosphere. Everything is explained in detail. Minimum waiting time is a plus!" "Always very happy and confident with treatment"
"Very helpful to me and my wife"
"Very friendly and efficient and helpful"
"Been happy with this practice"
"Friendly and great with nervous patients"
"Have already recommended many of your patients"
"A first class practice - would have no hesitation recommending this practice." Source : The above are some comments from 228 questionnaires completed by patients during March, April & May 2011.